Starting off the evening was John Salaway an active member of the music community in Nashville. This multi-instrumentalist grew up on classic rock which was reflected in his own melodic compositions. John’s acoustic set at 3rd and Lindsley was a mix of covers and originals. Salaway paid tribute to The Beatles with a fine version of “Michelle” and later a creative interpretation of the The Who’s “Baba O’ Riley” – not that easy to pull off solo on an acoustic guitar with effects – but John did. Salaway’s own tunes reflected strong song craft. Next up were The Cryers formed in 1991. The group has toured the U.S. and Canada with a firm following in their home state of New Jersey. The Cryers are rooted in classic rock. Their music was propelled by powerful beats, harmonies and well-written songs. Their slot featured tunes from their Rock & Roll Holiday album – packed with insightful, rock solid songs. 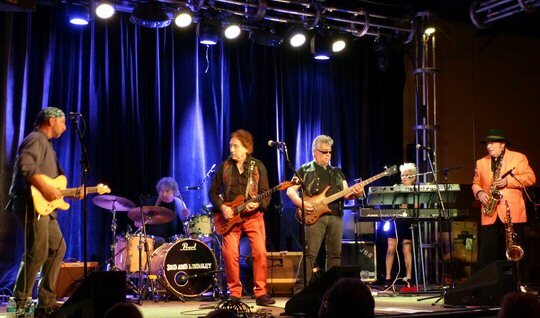 The Cryers were also Denny Laine’s backing band. They gave a warm introduction to the legendary Laine who took the stage armed with an electric guitar. Denny with The Cryers opened with “I Go Crazy” a James Brown cover that The Moody Blues were also recognized for. Special guest Phil Kenzie on sax joined the group for an animated take on “Time To Hide”. Throughout the night, Denny shared stories about the music. Laine added his own unique spin to “Listen To What The Man Said” while staying within the familiar structure of the song. “Mull of Kintyre” was another winner of the night as was the classic “Go Now” presented towards the end of the concert. 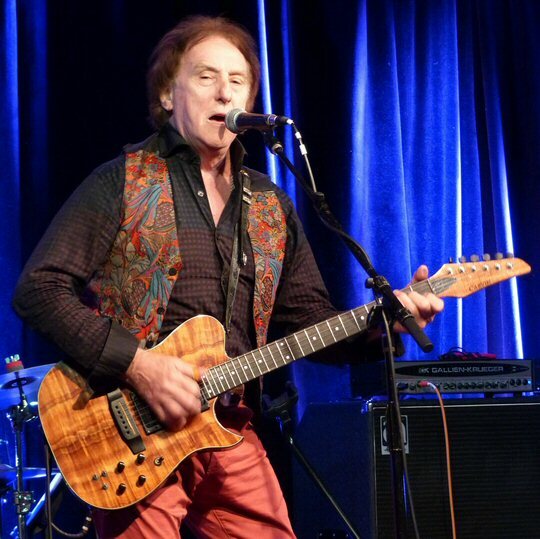 Denny Laine – rock royalty touches down in Nashville for a career retrospective. During one narrative Denny played a few snippets of Beatles songs jesting that they would not be hits before settling on Paul Simon’s “Richard Cory” a caustic commentary from the perspective of a factory worker. The pretty Amber Brooke Taylor sang as good as she looked on a lovely version of “Let It Be”. Some fans sang along to “Picasso’s Last Words (Drink To Me)”. 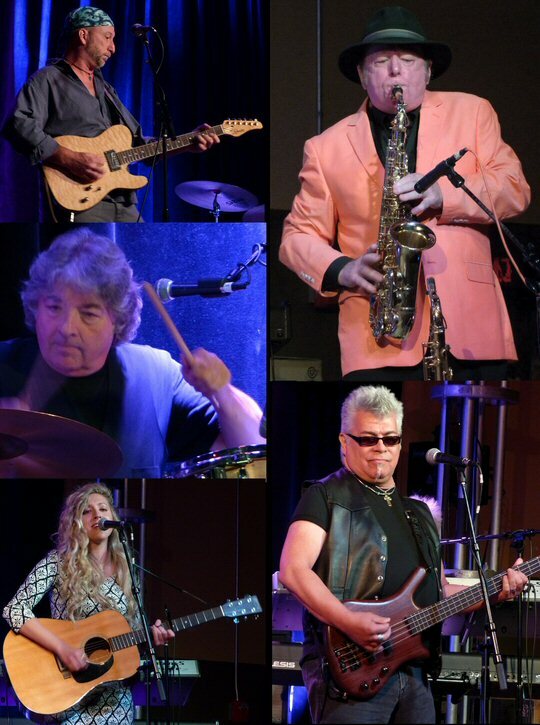 Denny shared that The Cryers when not on tour run a music school in Monmouth County, New Jersey. 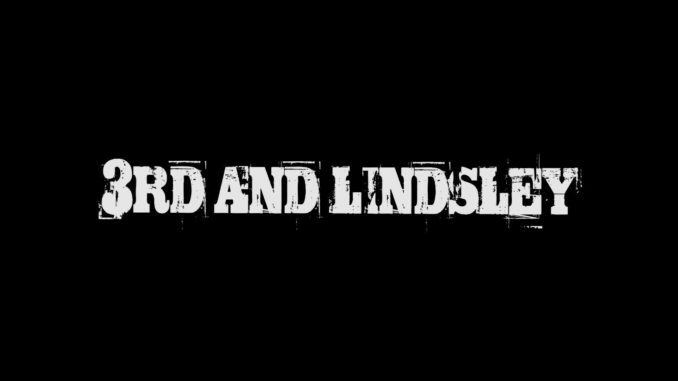 This worked well as a lead into the harmonious “Children, Children” a song Laine wrote on the road while missing his kids. Laine then mentioned Cold Cuts an album that featured tracks that did not make it on the main Wings records. “Weep For Love” was a rarity that the audience appeared to appreciate despite a few missteps. He teased us with a few notes of “Jet” saying it was a short show and they could not play everything instead they presented “Again and Again”. Lose Your Money (But Don’t Lose Your Mind)” flowed on a beguiling Bo Diddley beat with its bluesy groove. Phil Kenzie was back for a lively “Live and Let Die” and the crowd pleasing closer “Band on the Run” that featured local heroes Gordon Kennedy and Bill Loyd. Also adding Wings power was the presence of their late-era percussionist Steve Holley who pounded the kit with precision throughout the show.